Bouncing on a mini-trampoline may not be your idea of a strenuous aerobic exercise and it may not strike you as having significant health benefits, but, in fact, both are the case. Rebounding, as this form of safe, gentle, no-impact exercise is commonly called, burns more calories than jogging. Trampoline bouncing also can strengthen your heart, improve your circulation, stimulate the flow in your lymphatic system, help slow the effects of aging, revitalize vision, reduce stress, and benefit children with learning disabilities and cystic fibrosis. Tony Robbins, the popular motivational speaker, endorses the exercise of rebounding in addition to his highly acclaimed life-changing programs. Rebounding may be used in conjunction with niacin and ionized water to help detoxify fatty tissues. Rebounding is a unique exercise in that you achieve a weightless state at the top of each jump then land with twice the force of gravity on each bounce. This twice-gravity bounce affects every muscle and cell of the body. Researchers at the University of Kentucky, in conjunction with NASA, concluded that "the magnitude of the biomechanical stimuli is greater with jumping on a trampoline than with running." They further reported, based on their testing of physiological responses in eight men, age 19 to 26: "These responses measured by whole-body vibration [on the trampoline] resemble those during mild exercise and suggest that perhaps body vibration could be used in place of exercise." According to the Healthy Cell News, other rebounding benefits include decreasing headaches (both frequency and strength), reducing back and joint pains, alleviating arthritic symptoms, such as pain and inflammation, and boosting energy levels. 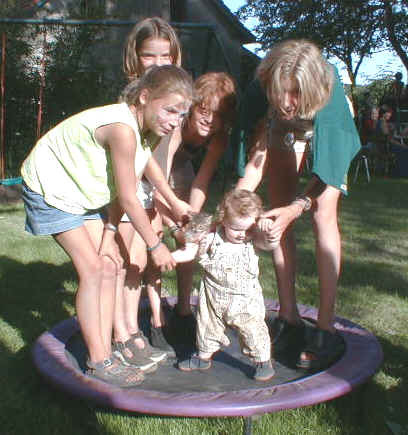 Because the exercise provided by rebounding is sufficiently gentle, both the elderly and the pregnant can safely participate; in addition, it is suitable for those who are physically handicapped and those recovering from an accident or injury or who are otherwise hampered by a physical problem. One of rebounding's special benefits is its ability toimprove flow in the lymphatic system. The lymphatic system is the metabolic garbage can of the body. It rids the body of toxins, fatigue substances, dead cells, cancer cells, nitrogenous wastes, trapped protein, fatty globules, pathogenic bacteria, infectious viruses, foreign substances, heavy metals, and other assorted junk the cells cast off. The lymph system consists of lymph nodes which are clusters of immune tissue that work as filters or "inspection stations" for detecting foreign and potentially harmful substances in the lymph fluid. 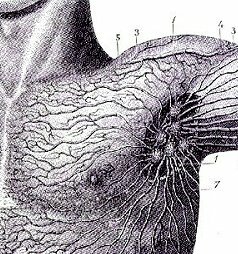 Acting like spongy filter bags, lymph nodes are part of the lymphatic system, which is the body's master drain. While the body has many dozens of lymph nodes, they are mostly clustered in the neck, armpits, chest, groin, and abdomen. Lymph fluid (1-2 quarts) accounts for 1-3% of body weight. Exercise can increase lymph flow by 15 times. "The lymphatic [flow] becomes very active during exercise but sluggish under resting conditions," states Arthur C. Guyton, M.D., chairman of the department of Physiology and Biophysics at the University of Mississippi School of Medicine and author of Basic Human Physiology. "During exercise, the rate of lymph flow can increase to as high as 14 times normal because of the increased activity." 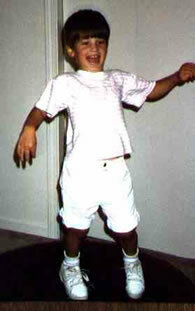 This happens because the lymph ducts expand during rebounding. The increased lymph flow flushes more toxins through the lymphatic system. One of the primary causes of the physical deterioration associated with aging is the declining performance of the heart and circulatory system. The pumping force of the heart decreases by 8% per decade in adulthood; lung capacity decreases, muscles lose strength, reaction time slows, and bones lose their mineral content. Exercise can help halt or at least slow this aging process. "So many people 'rust' out - oxidize - before they wear out because they fail to realize that the human body was made to be used for as long as the person lives," says Robert E. Wear, M.D., an exercise physiologist at the University of New Hampshire who has designed exercise programs for nursing homes. The decreases in mental abilities and reaction time that often come with aging are caused only partially by the lessening of heart function. Rebounding stimulates the brain and visual cortex during exercise to maintain balance and coordination. Animal studies have shown that exercise can increase enzyme activity in the brain and cause other positive functional changes in the nervous system. Aerobics can strengthen heart muscles and produce other cardiovascular changes so that the heart can pump more blood with fewer beats. This means your resting (normal) heart rate will be lower, which is good. By regularly working your heart harder during exercise, you improve its overall function so that it doesn't have to work as hard during your normal activities. A conditioned person may have a resting heart rate 20 beats per minute slower than a de-conditioned person. He saves 10,000 beats in one night's sleep. Reducing the day-to-day workload of your heart can lessen your chances of developing heart disease. Aerobic exercises such as rebounding increase red blood cell count, allowing faster oxygen transport through the body, and can help lower elevated blood pressure. Aerobic exercise helps dissolve blood clots and increases the amount of high-density lipoproteins (HDL, the so-called "good" cholesterol and a major factor in the prevention of atherosclerosis) in the blood. The capacity of the lungs also increases, enabling them to process more air and replenish oxygen in the cells of the body's tissues and organs more quickly. Metabolism (conversion of food into energy) is enhanced and you tend to absorb nutrients from your food more efficiently. Any tendency towards constipation, kidney stones, or diabetes is reduced by this form of exercise. Overall, after adjusting for the mortality-increasing effects of chronic illnesses, cigarette smoking, and other factors, the authors reported that, nonetheless, there exists "a strong inverse association between risk of all-cause mortality and level of physical fitness in both men and women." In other words, higher levels of fitness translate into a longer life.